Are dads shirking shared parental leave? 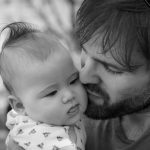 A new study shows that more dads want to take shared parental leave (SPL), but what has stopped them up to now? Last year DaddiLife covered a study by the TUC showing that many dads are back at work within days of a new baby’s arrival. That’s not good for anyone. The more time both parents spend with their child in the early weeks and months of life, the better it is for the whole family. Shared parental leave (SPL) allows parents to share up to 50 weeks of maternity leave and 37 weeks of statutory pay after their baby arrives, but as discussed in our previous article, take-up of the scheme has so far been pitifully low. In the 12 months since the introduction of SPL in 2015, only 1% of couples had taken up the opportunity. But a new study suggests that might be about to change. The research, for financial comparison site money.co.uk, found that three in four couples plan to take shared leave in future. That’s encouraging news, meaning more dads could be present more of the time during the earliest stages of their childrens’ lives. Could this mark a seachange in our view of shared parental leave? There are clear benefits in sharing parental leave among both parents. Not only does it allow dads to bond more quickly and closely with their newborn children, it also allows mums to go back to work sooner, if they so wish. Nicola Miller, a PR Manager from London said: “Shared parental leave worked for us because it meant my partner was able to stay at home for eight weeks instead of the standard 1-2 offered by paternity leave and still receive statutory pay. 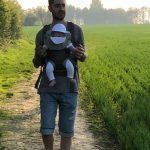 “I’d definitely recommend shared parental leave to other parents, it’s a surprisingly flexible way for you and your partner to spend more time bonding with your newborn without being financially penalised for doing so”. But while a lot of prospective parents plan to take SPL now, will they actually go ahead with it when the time comes? That’s a pertinent question, because while many of us might wish to share parental responsibility equally, the fact is that the financial penalty for doing so has put many dads off in the past. When we worked with the Working Mums group, we also uncovered how dads and mums were also simply not having enough of the conversations around SPL either. The new research finds that finances are still a major stumbling block to the large scale take up of SPL. It reveals that 1 in 2 dads won’t take up parental leave because they earn more money than their partner. This chimes with other research which found that dads wanted to take SPL but feared it would hurt their careers. “Families are unlikely to make use of SPL unless it makes financial sense for them to do so,” said Sarah Jackson, the chief executive of Working Families, the body which commissioned this study. Let’s be clear, this is not dads putting careers before family for selfish reasons, or running away from dirty nappies and sleepless nights. Recent figures show that the average cost of raising a child in the UK now stands at over £75,000. That figure does not take into account housing, childcare and council tax costs. When additional costs are added, the average child costs £155,142 to raise from birth to age 18 for a two-parent family. The Child Poverty Action Group has calculated that, between 2012 and 2019, the cost of raising a child will have risen by 12%, while government support for parents will have grown by just 3%. In other words, in households where dads earn more than mums the pressure to keep working, and keep climbing the career ladder, can be intense. In those circumstances, SPL can seem like an unattainable dream. Let’s hope money.co.uk is right, and 2018 will finally see a major take-up of SPL, letting more dads spend more time with their newborn children in the crucial early months of life. But if it doesn’t happen, there is one thing that commentators and policy makers should know: it won’t be down to uncaring, work-obsessed dads. It will be the economy, stupid. Is the UK ready for “latte dads”?